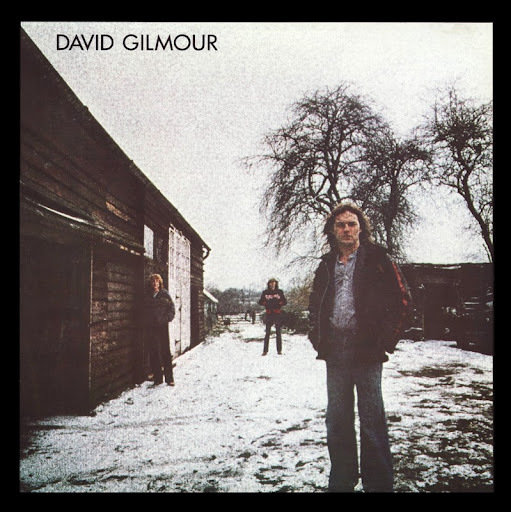 Song of the day: David Gilmour – "There’s No Way Out Of Here"
After yesterday’s exhaustive (and exhausting) effort with the Ten Masked Men, I’m stumped for an idea of what to play you today. This is an Australian power pop blog, so I’ll make it an Australian song. This is an power pop blog, so I’ll make it a power pop song. Or I could just ignore points 1 and 2, and play the first song in my collection that takes my fancy. Point 3 seems the easiest, so I’ll go with that. I thought I’d have a look in the “G” section to see what was in there, because I haven’t gone anywhere the “G” section in ages. The first thing in there that caught my eye was David Gilmour‘s first solo album, David Gilmour. I remembered that I bought the album because of one song, “There’s No Way Out Of Here”, which I loved way back then. I’ve just had another listen to the song and yep, I still love it. I’ve only just found out that the song by Mr. Gilmour is actually a cover version. It was originally recorded by a band called Unicorn, and in the “It’s a small world” department it was produced by… David Gilmour. You are currently browsing the archives for the David Gilmour category.